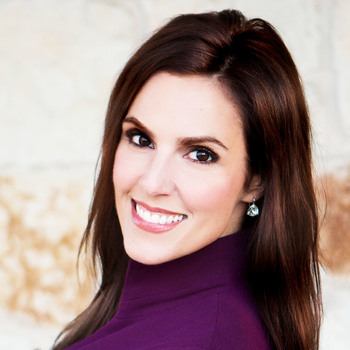 Taya Kyle has persevered through one of the most difficult situations one could face: losing a loved one. In 2013, her husband U.S. Navy Seal Chris Kyle was tragically shot and killed by a U.S. Marine Corps veteran while at a gun range Chris had taken him to in order to help with PTSD. Taya has grieved deeply yet repeatedly makes the choice to press on by furthering the work of The Chris Kyle Frog Foundation. Taya and Chris had started the foundation as a way to serve their community with a vision to meet the often un-met needs of military and first responder families. The Chris Kyle Frog Foundation was established to create an environment where family units would be strengthened while engaging in community with other families who face similar challenges. One way this is accomplished is through the foundation’s Revitalization Retreats, which give couples the chance to reconnect with one-on-one time after deployment and CKFF the chance to show gratitude for their service. Taya recently partnered with Warner Brothers to give six military service veterans the chance to be trained as part of a pit crew at this year's 100th Indy 500! Many of the chosen individuals who will be trained are also passionate about serving other veterans in helping them cope with PTSD. This project stems from Chris' admiration for the highly demanding work that pit crews do. At one point, he even likened it to his military unit. Additionally, funds raised as a result of this amazing opportunity will be used to create even more programs to serve military and first-responder families. We feel incredibly privileged to be able to help Taya tell her story, Chris' story and the stories of so many men and women who are on the frontlines of national security! We are proud to stand behind the honorable work that Taya and The Chris Kyle Frog Foundation are doing and can't wait to see how many more lives are changed for the better. Want to bring Taya to your next event? Let us know here. We'd love to help make it happen!